This is definitely true for me! If it’s true for you, or someone you know, then here is a mug to be enjoyed. And possibly photographed in your next #shelfie photo. Maybe. The mug is dishwasher and microwave safe, and is great for hot or cold liquids. It features a cheery yellow interior and handle and holds approximately 11 oz of liquid. 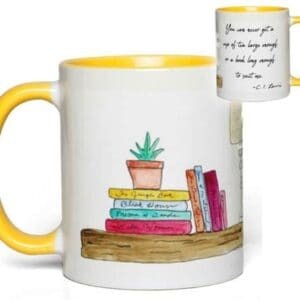 This adorable Quote Mug is made by a dear friend. We hope you love it as much as we do. 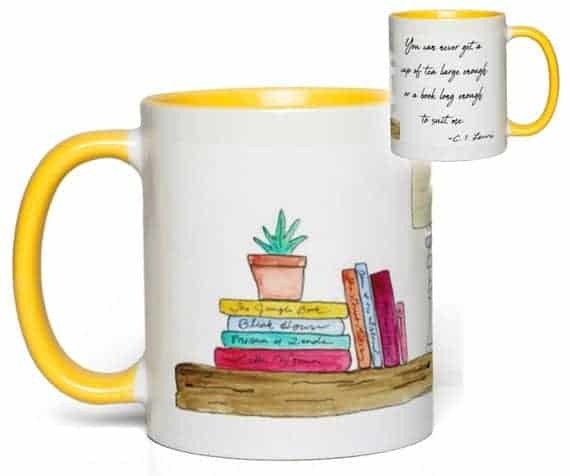 Visit her shop to see the latest mugs!